The Library for Deaf Action (LDA) and the Washington State Association of the Deaf (WSAD) will present a celebration of the 300th birth of Abbé Charles-Michel de l’Épée, founder of the first public school for the deaf in Paris, in 1755. The event will take place at the Beacon Hill Library on Sunday, January 27, at 1:30 p.m. The program on the importance of bridging deaf cultures at the library will include Ann Silver, an internationally known deaf artist from Seattle, and the the subject of the book Ann Silver: One Way, Deaf Way by James Van Manen. The presentation will be in ASL with interpretation in spoken English. Deaf blind guests may request tactile interpreting services two weeks in advance. Contact 206-386-4690 or leap@spl.org. Local kids and the Seattle Public Library need your help with homework. 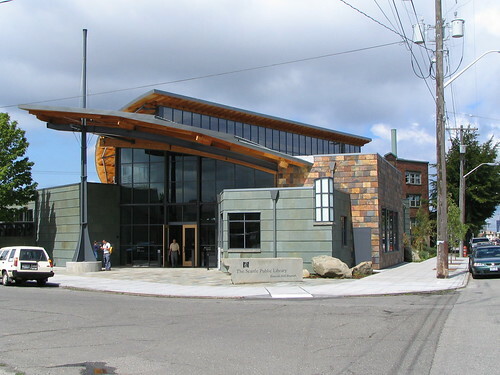 Volunteers are currently being sought for the Library’s Homework Help program at two Beacon Hill branch libraries, the Beacon Hill branch and the NewHolly branch. Volunteers will help students (mostly ESL) in grades one through 12 with homework assignments in school subjects including English, history, math, science, and more. Volunteers must have completed at least one year of college, and have experience as a tutor, parent, or teacher. To volunteer as a homework helper, download a volunteer application here. For more information, contact Anne Vedella, volunteer services coordinator, at anne.vedella@spl.org or 206-386-4664. Neighbors waiting for the Beacon Hill library to open in the morning. Photo by Jason Simpson. 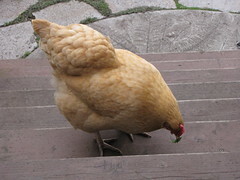 Photo by owenfinn16 via Creative Commons/Flickr. The Seattle Public Library has announced the winners of 20 Kindle e-readers through the recently-completed 2012 Adult and Teen Summer Reading Program. Readers in the program entered to win a Kindle for every three books they read and reviewed. Shirley Xu was the winner from the Beacon Hill Branch library. Congratulations to Shirley! The Seattle Public Library is holding a community meeting next month to discuss improving library services, along with funding strategies to accomplish the needed improvements. 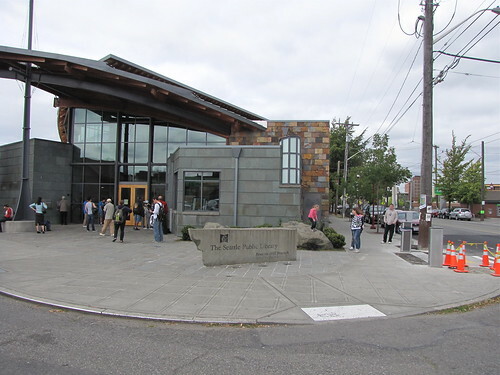 The meeting is scheduled for Saturday, January 14, from noon until 2 p.m. at the Beacon Hill Library, 2821 Beacon Ave. S.
Community members at the meeting will hear about suggested options for improvements in four essential service areas: collections, library hours, computer access, and building maintenance. They will also learn about ideas for stabilizing library funding into the future. There will be an opportunity for public comment on the various options. City Librarian Marcellus Turner and Library Board members will be in attendance to hear what the community has to say. For more information, see the Libraries for All project website or call 206-386-4636. Neighbors wait for the library to open in the morning. Photo by Jason. The Beacon Hill Library is hosting two events in the next few weeks where you can find out more about digital audiobooks or e-books. The first event, from 1:30-3 p.m. on May 2, is a class to demonstrate how to search for, check out, and download audiobooks from the library using the OverDrive digital book service. Registration is required for this class; please contact the library at 206-684-4711 to register and find out more information. On May 21, the library is also hosting a drop-in Digital Book Roadshow that will give an overview of e-books, demonstrate how to transfer digital books to portable devices, and let you test drive various e-book readers. 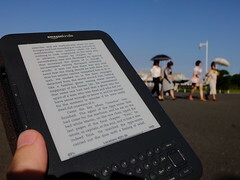 The presentation on e-books and readers starts at 3 p.m., followed by an informal Q&A session and test drive until 4 p.m. Both the May 2 class and the May 21 roadshow are free and open to all. 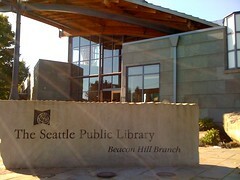 The Beacon Hill Library is located at 2821 Beacon Avenue South. An assortment of e-readers. Photo by edvvc via Creative Commons.